The Equipoise Straddle Seat is now available with Base Pads and Freestanding Tray, making it a more versatile option for therapy and play time. 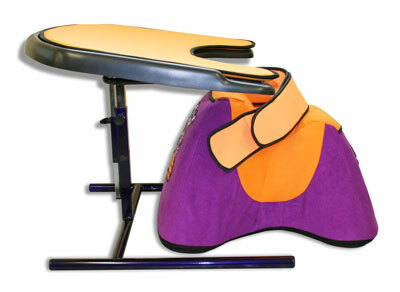 The Equipoise Floor Sitting version is now available with Detachable Base Pads. 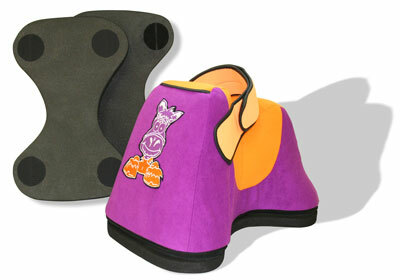 Available in multiples of 1 Inch, Base Pads allow the height of the seat to be easily adjusted up or down. Ideal for carers and therapists who would like to use the Equipoise with groups of children. The Equipoise Freestanding Tray is height and angle adjustable, providing a stable surface for play time and work time. Available with or without Soft Tray Liner (pictured) in matching colours. Since the re-launch of the Equipoise in August 2013 SOS have listened to feedback and as part of our continuous development process made it easier to use the Equipoise with groups of children. Visit the Equipoise page or contact us for more information.